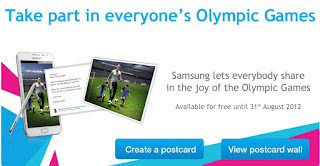 Counting every dollar with you~: Free Sample: Postcard From SamSung! Until the time Apple gives some free postcards or something... I prefer Samsung a little more than Apple.